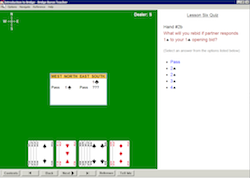 "2010 American Bridge Teachers' Association (ABTA) Software of the Year"
For Mac Click Here to download Bridge Baron Teacher. All lessons are purchased from within the program it self. 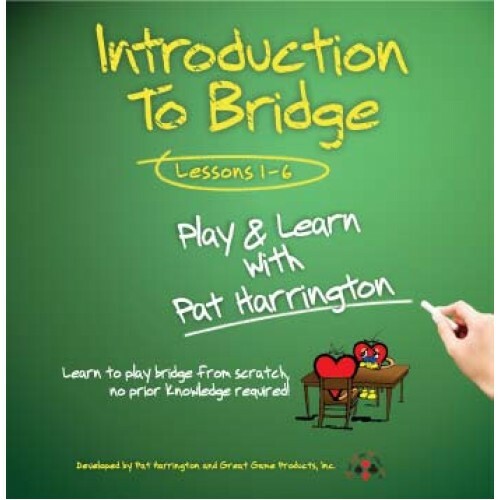 Pat is one of the best known and most successful bridge teachers in the United States. She is a columnist for the ACBL's monthly magazine "The Bridge Bulletin" and the winner of the American Bridge Teachers' Association (ABTA) 2007 Book of the Year Award. 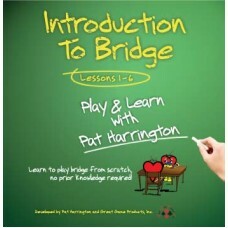 Pat is also a trained educator who has taught bridge to thousands of people over more than 20 years. She is an ABTA Master Teacher, an ACBL Accredited Teacher, and a Teacher Trainer for the ACBL.